We offer multi-level pricing so prices will vary depending on the service provider. All service providers are commissioned employees, not independent operators. We encourage you to try them all! Service prices and availability are subject to change without notice. or free mini-facial when booking your appointment! We offer a variety of designer perms that leave the hair healthy and full of body. Prices may vary due to the length and condition of hair. Please feel free to call for a complimentary consultation. Cancellations: As a courtesy to your service provider we require a 24 hour notice of cancellation. This allows us time to accommodate the needs of others guests. In the event of a same day cancellation or if you fail to show up for your scheduled appointment you will be billed a fee for up to 100% of the scheduled services. Understanding that emergencies do arise we will do our best to accommodate your specific situation. 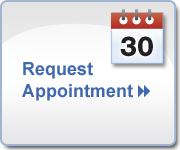 Late Arrival: If you arrive late for your scheduled appointment be advised that your service provider may ask you to reschedule based on their availability. Check In: Please arrive a few minutes prior to your scheduled appointment in order to fill out any consultation forms that are required for the service.